How Emigo Senses your Mood and change it? Emigo means a friend. A Friend that senses your good or bad mood and tries to change it accordingly. 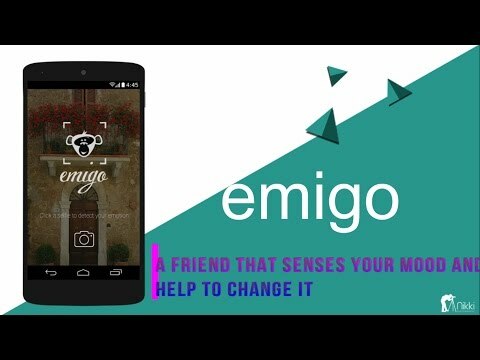 Our "Emigo" app senses your facial expressions like your friend. It senses what you are up to and what needs to be done to enhance or change your mood. We improve our “Emigo“app according to your review. Your Review help us to make more friendly for you. We always welcome your suggestion or any Query about Emigo App. Contact us here. Then Share Emigo app and give Review ! 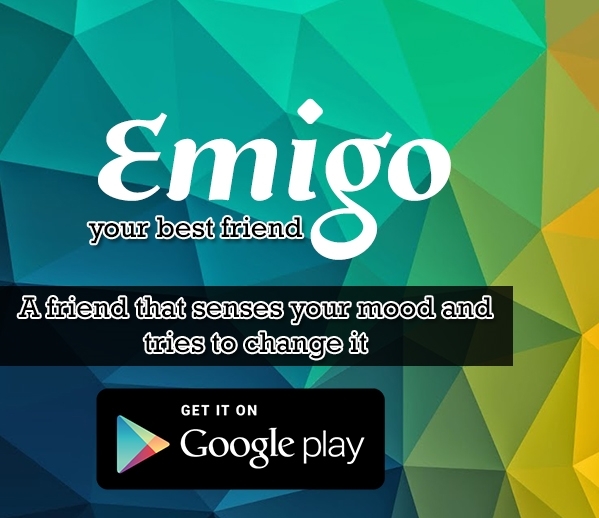 The Emigo app is very user friendly, it senses your facial expression, either you are happy, sad, angry or Surprise. 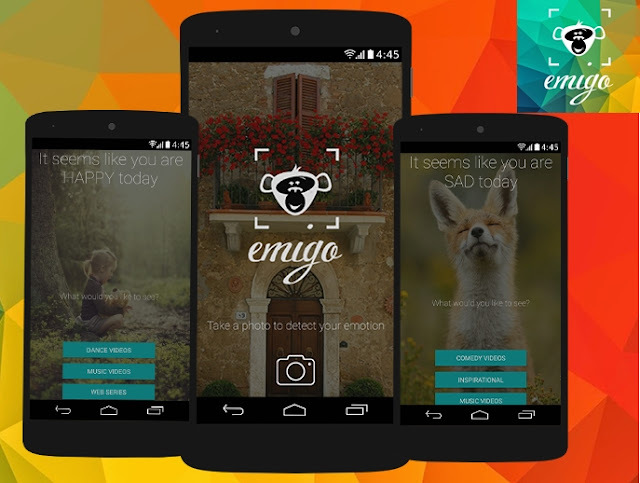 First you need to take a selfie using Emigo App. This selfie needs to be good Enough to Detect your facial expression. Then Click ok and it takes you to next page where Emigo App learns your Expression and recommends you some videos in different categories. You can play that videos according to your interest, that will help you either in coming out from a bad phase or by sinking you in that good mood. Emigo means “a friend”. A Friend that sense your good or bad mood and tries to change it accordingly. Our "Emigo" app does the same. Just by learning your facial expressions like your friend it senses what you are up to and what needs to be done to enhance or change your mood? According to your mood it recommends a set of videos either to sink you, in that good mood of yours or to bring you out, from a bad phase. So here comes your Best Friend “Emigo”.